❁ Choose firm, smooth skinned sweet potatoes without cuts, soft spots or bruises. ❁ Fresh sweet potatoes are likely to be lowest cost and best quality from October to January. 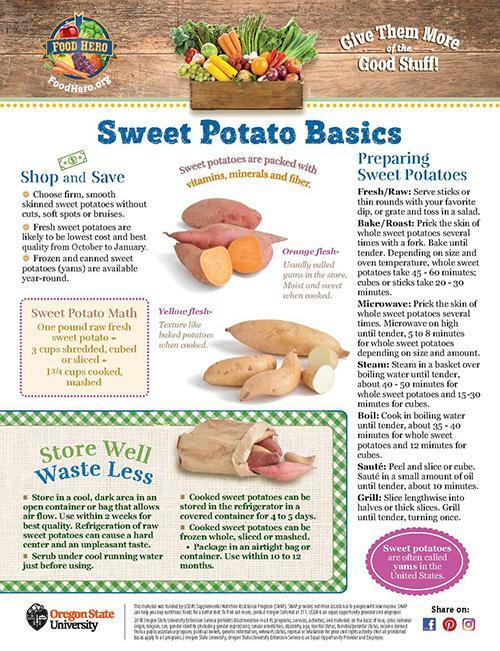 ❁ Frozen and canned sweet potatoes (yams) are available year-round.